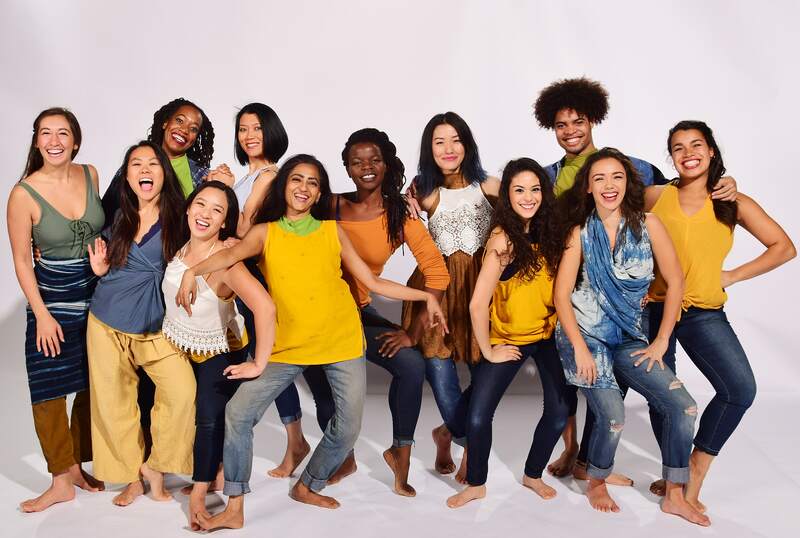 We are a professional, Contemporary Indian Dance company comprised primarily of women artists of color. We describe ourselves as cultural activists, working through dance and artistic processes to engage audiences, build community, and move towards justice and beauty. We intersect Contemporary Indian Dance with a philosophy of social justice to create original dance theater about the extraordinary work and dreams of women around the world, and to inspire audiences through visual and emotional engagement. Inspired by the commitment and passion of women’s movements globally, our work links women’s stories with movement to invoke broader questions about social justice. We premiere one new work annually in the Twin Cities, and commission new music for each new work. We offer touring performances, workshops, and dialogues throughout the year. Our work has been presented in 16 other U.S. cities and 12 other countries. Our Shawngram Institute for Performance & Social Justice is a women of color-centered space of embodied practice where dancing engages us in healing. We offer classes and workshops in the aesthetic and working methodology of our company, and share our belief in choreography as a mode of shining light on seldom-seen stories through various activities. We create original Contemporary Indian Dance theater at the intersection of artistic excellence and social justice. We envision an ensemble of dancers whose embodied power and beauty create seismic shifts in the ground on which they dance. Our artistic work unfolds through Yorchha™, a unique movement aesthetic of Contemporary Indian Dance that draws on Classical Odissi, the martial art Chhau, and Vinyasa Yoga, to explore feminine energy and celebrate a feminist aesthetic. This technical base crosses with our foundational philosophy of Shawngram™, or resistance, to create a particular choreographic process and an abstract, metaphoric narrative arc that generates strength and beauty, galvanizes communities, and embodies a philosophy of possibility and liberation in a shared humanity. Our work invites audiences to participate in our strategy of #occupydance, the movement of dancing as civic action.